From office meeting catering to home parties and everything in between, Saz’s professional catering services provide quality meals and reliable delivery – even on short notice. Our talented culinary and event management teams can produce an amazing array of meal solutions to cover you for those unanticipated, last minute pop-up events. Review the Last Minute Favorites menu below for a guaranteed hit, then contact us at cater@sazs.com or 414.256.8765 to place your order! Breakfast Solutions - Perk Up Productivity! All breakfast buffets are priced to include assorted fruit juices and regular and decaffeinated coffee with accoutrements. Buffet pricing without beverages is also indicated, should that better suit your particular event needs. Orders by the dozen require a 2 dozen minimum per selection, please. Available for pick up hot and ready-to-serve or cold with reheating instructions. Approximately twelve 4oz. servings per loaf. Lunch Solutions - Feed the Focus! Chef Selected Buffets - Our Most Popular! Box lunches come with potato chips, fresh fruit, pickle and condiments (except salads). Salads are served with rolls, butter, and cookie (substitute brownie for $1 per guest). The selections within this Last Minute Favorites menu are available for short notice events taking place Monday through Friday. Event confirmation is subject to existing availability. Menu pricing herein is subject to applicable state sales tax. Menu pricing includes our high quality disposable plates and utensils. A minimum of 20 guests is required for Delivery & Setup and Stay & Serve events; minimum of 10 guests for Express Drop Off service. Menu pricing is based on groups 50+. For groups under 50 guests, please add $1.50 per guest. A signed contract and non-refundable deposit of 50% of your anticipated total is required to secure your event. 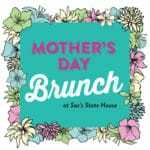 Final details, including guest count, menu selections, final payment, and any information important to the success of your event, are due to your event manager or the Saz’s Catering office at the time of contract for events booked less than 10 business days prior to the event date. Gratuity is not included and is left to the discretion of the client – should you wish to extend gratuity to your event staff, your event manager will be happy to assist you in doing so. Holiday and holiday weekend events are subject to additional service charges up to 1.5 times the standard rate. Planning something more formal? Consult our Formal Corporate and Social menu for plated full-service selections! Custom and themed menus are available to suit your event needs. Please consult your event manager to have a menu customized. All pricing is subject to change based on market conditions. Drop Off service is not available for locations further than 25 miles from our facility. Pricing is based on drop off between 7am and 12pm. Additional fees may apply for times outside of these hours. This style of service is not recommended for groups over 50 guests. Additional fees apply for events further than 50 miles from the Saz’s Catering location. Delivery & Setup events are guaranteed to be ready within 15 minutes of the specified time or we’ll waive your delivery fee. This style of service is not recommended for groups over 50 guests. Pricing is based on delivery times between 7am and 9pm. Additional fees may apply for times outside of these hours. Full-Service Stay & Serve – Our staff will arrive on site, set up your buffet based on your menu and event requirements, monitor the buffet, and replenish as needed. In addition, our staff will clear dining surfaces to ensure a clean area for your guests free of disposed items. This style of service offers optimum service for any size group, but is strongly recommended for groups over 50 guests. Pricing includes disposable plates, napkins, utensils, all buffet tables and linens, and all staff and equipment necessary for your event. A service charge of 22% (minimum $250) applies to Stay & Serve events and covers the cost of labor and associated expenses. Service time is for a maximum of 1.5 hours with additional serve time available at an additional cost.  Pickup – Don’t need our on-site services, but love Saz’s food? This is the perfect option for you. No service charges apply for pickup service (pickup is available at our location after 9am). Menu selections are packaged in disposable aluminum or plastic containers and include disposable service ware. Items can be packaged hot and ready-to-serve, or packaged cold with reheating instructions. Please indicate your preference of hot or cold at the time of your order.